Kale grows like a champ when temperatures drop. The days are getting shorter. Temperatures seem to be cooling– at least slightly. Autumn is nearly upon us. My tomatoes turned red and remained pest free this year. They also reminded me of the fact that store bought tomatoes don’t hold a candle to homegrown ones. By far my best crop of the year. My zucchini was underwhelming. I’ll leave it at that. The basil started out slow but really exploded once the daytime temperature stayed above 80 degrees for a few weeks. I see pesto in the new future. I’m holding out hope that my butternut squash gets a little bit bigger over the next month just in time for yummy soups and whatever else I can sneak butternut squash into without my kids knowing (smoothies, pancakes, etc). Not a bad first year with this garden! 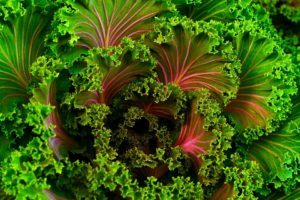 Just as I was planning to wind down for the season, I stumbled upon this article from Tower Garden highlighting the various cool season crops that can be grown at least until the first freeze– and by my recollection, there should still be about two more months until that happens. Actually, after looking at my estimated first frost date at Almanac.com, I may be cutting it a little too close with approximately 45 days to grow my cool season crops. Remember that you can get many of those in Seed Pac form right from our website! 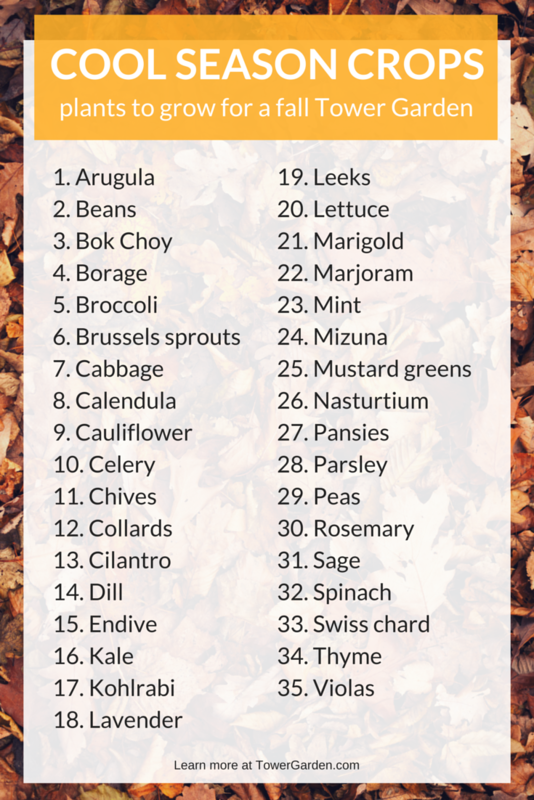 Which cool season crops are you growing this fall?